Little Rock, AR – July 18th, 2008 – ACCUPAL, Inc. recently announced that its patent-pending ACCUPAL® Comfortable Palatal Injection System is now FDA registered and ready to ship anywhere in the United States. Specifically, ACCUPAL is a cordless, compact, handheld device that effectively pre-conditions the oral tissue to receive virtually pain-free palatal or other intraoral dental injections that were previously unobtainable via manual injections or through the use of other devices. ACCUPAL’s ultrasonic tissue stimulation disrupts the tissue injection site to allow standard topical gel to pre-condition the injection site, thus further reducing the needle’s pain-producing effects. ACCUPAL ensures that the clinician inserts the needle bevel at its narrowest point, which provides the most minimally invasive path possible and reduced tissue damage to deliver a comfortable palatal injection every time. ACCUPAL is available online at www.accupal.com and is very affordable when compared to other high-tech dental anesthesia delivery devices on the market. For example, the complete starter package, which includes the ACCUPAL cordless handpiece, 50 disposable tips, a patient education CD-ROM and a clinician training CD-ROM, is priced at $479.00 plus shipping and handling. Additional handpieces can be purchased at $179.00 + S&H and disposable tips are available for $99.00 + S&H for a package of 50, $189.95 + S&H for 100 and $279.95 + S&H for 150. Additional patient education and clinician training CD-ROMs are also available. The application updates coming in August will make changes to Picture Mail, the web browser, Sprint TV, Sprint Navigation, Sprint Email, Sprint Music Store, Visual Voicemail, Mobile Sync and more. Today's update prepares the device for these updates. 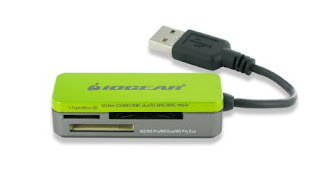 Iogear makes great peripheral items that make your computing tasks easier to manage. Here's one more interesting product from them, the Universal Memory Bank. Memory Banks to download music and other files to their cell phones. also has a built-in cable to avoid blocking other USB ports when in use. to easily consolidate their tools and perform tasks with one product." outlets. They come with a standard three-year warranty. Anna Patterson is one smart search engine designer. So good, if fact, that her last search technology was purchased by Google in 2004. Now she is free of her non-compete clause and is unleashing Cuil (prenounced Cool) onto the Internet. In doing so, she hopes to become the top search engine on the net. Cuil is currently online and looks impressive, although I've only had limited use of it as I write this. More info on Cuil can be found in a CNN story, click here for that. Cuil looks to be an interesting technology and the search engine wars are always fun to watch. Could this be the next "big thing"? Only time will tell. I've had about 2 weeks of use with the Ray from High Q now and I'm impressed. 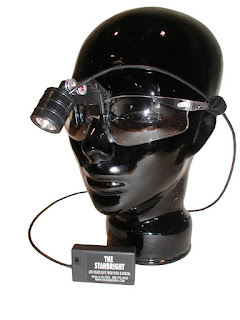 The device is a 3 watt LED light that comes with a variety of ways of attaching to safety glasses, loupes, etc. I've personally been using the "clipboard" type clip and attaching it to the brim of my Royals hat. The light is bright and provides good illumination of the field. Both brightness and diameter of the spot are very good. The weight is hardly noticeable whether on attached to my hat or glasses. Cord length is good. It is easy to have the light attached and have the battery pack in a pocket or on your belt/waist. The cord is long enough to accomplish this without being "too long" and leaving extra wire to deal with. Battery life: excellent. A full day of use is easily accomplished. Battery charging is easy. The light cord unscrews from the battery pack and the charger attaches in the same place the light cord does. The charger has an LED that indicates when charging is complete. The price is also very good making this an affordable device for those looking for an auxilary lighting system. I like the Ray very much and recommend it highly. The company website is here. WASHINGTON (Reuters) - Sirius Satellite Radio Inc's (SIRI.O) purchase of XM Satellite Radio Holdings Inc (XMSR.O) was approved with conditions by U.S. communications regulators on Friday, clearing the way for a deal that will leave just one U.S. satellite radio service. The Federal Communications Commission voted 3-2 in favor of a proposal that would allow the deal to proceed as long as the companies meet a series of consumer protection conditions, including a three-year cap on prices, set-aside of channels for minority and non-commercial programming and payment of a $19.7 million penalty for past FCC rule violations. infiniDent is an Internet-based service concept that caters exclusively to Sirona inLab® and inEos® users. It enables inLab and inEos owners to derive additional value from their existing technology investments by providing access to a rapidly expanding menu of materials and indications. Laboratory owners are routinely integrating the infiniDent service into their practice due to the wide range of material choices infiniDent provides, as well as the services’ superior large-span bridge capabilities and fully anatomic wax-patterns. Laboratory technicians simply upload their digitally designed restorations through the infiniDent Web-portal and the file(s) are then sent to the fabrication center located in Charlotte, NC for fabrication of metal or metal-free materials. The Sirona-operated fabrication center returns the completed framework to the laboratory within three business days. Named one of 2006’s most innovative products for the dental laboratory industry by the Journal of Dental Technology, infiniDent is an ideal situation for laboratories looking for a low-investment, but expandable, entry model into CAD/CAM, labs that have their own inLab system but no sintering furnace, or inLab owners who want to gain access to future indications and materials as soon as they become available. The infiniDent fabrication service offers an extensive list of material options from material partners including VITA®, Ivoclar Vivadent®, 3D Systems® and Sirona. In addition, infiniDent supports pure zirconium oxide (ZrO2), aluminum oxide (AlO2), non-precious metal (CoCr) frameworks, and wax-patterns to support customers in their fabrication of high-strength restorations, including large-span bridges, and predictable shade matching. For more information on infiniDent, please email infiniDent@Sirona.com, contact your local Patterson sales representative, or call (800) 659 – 5977 ext. 145. Sirona inLab, distributed through Patterson Dental Supply, has been successfully incorporated into over 800 dental laboratories in North America. It is an easy-to-use CAD/CAM system for the fabrication of copings, bridge frameworks, inlays, onlays and crowns that fits the budget of every lab. It provides both technically and clinically reliable results through proven CEREC® technology. Its seamless integration with your lab puts you in total control over your work and time schedule through in-house manufacturing, benefiting the laboratory as well as the dentist. inLab has been the recipient of many industry awards and accolades including the 2005 WOW! Award from the Journal of Dental Technology, an excellent rating from The United States Air Force’s Dental Investigation Service and a Red Dot international design award for the inEos® Dental Digitizer. For more information about the inEos Dental Digitizer, the inLab System and necessary computer specifications, please contact your Patterson representative, local Patterson Branch or call 1-800-873-7683. To request informational materials please call 1-866-INLAB4U or visit www.inlab.com. I helped beta test the original Drobo last year and was impressed with the idea. The device uses a proprietary software to spread your data over the multiple drives in the device to prevent data loss. The safe, expandable Drobo™ storage solution protects your data against a hard drive crash, yet can expand dynamically at any time in just seconds. With nothing to configure or manage, Drobo is now the ideal solution for primary storage as well as backup. From the Google Reader Blog. Good news for you iPhone users. Read on! Mobile web browsers have come a long way since we first introduced an XHTML version of Reader back in 2006. For example, iPhone and iPod Touch owners know how powerful having a full-featured browser is. We on the Reader team are heavy mobile Safari users. Sometimes we use it to kill time, other times for answering important questions that come up during brunch: What is Tyrol's first name? How is maple butter made? How do you sweeten rhubarb for sangria? What is John Gruber saying now? For questions like the last one, we of course use Reader to keep up with our subscriptions. To make our (and your) Reader iPhone experience better, we wanted to really take advantage of the iPhone's capabilities. Today we're releasing a new beta version of Reader designed for the iPhone and other mobile phones with advanced browsers. You can use it by visiting http://www.google.com/reader/i/ on your phone. This new version is designed to offer many of the same features as the desktop, while making it quick and easy to act on items. If you've used list view, then it should be familiar to you. Scan the titles for an item that interests you, tap and it expands in place. Starring, sharing, and keeping unread are done in place, so you never have to leave the list view or refresh the page. We think it's a very fast way to power through your reading list. Since it's still in beta, we're not going to automatically send you to it, so bookmark the site so that you don't forget the address (http://www.google.com/reader/i/). We love getting feedback from users, so let us know what you think in our discussion group or the other channels. Turns out this is a problem related to the use of non-alphanumeric characters in your login name. If you have an @ or a . (or any other special characters) in your login name for IMAP/POP mail, the Instinct doesn’t send it and your login fails. Samsung is working on a fix with Sprint and should be releasing it soon. Not sure how true it is, but it certainly makes sense since most of us use lots of different characters for security. After a 2 day hiatus from being on the road, I'm back to blogging! I solved the e-mail update on the Instinct. I did a little research and it turns out that, for me, resetting the Instinct by turning it off and on twice did the trick. Of course because I had thought it was only my device, I had already reset my e-mail which effectively erased my accounts. This meant I had to reconfigure my accounts which was a tad of a pain since I didn't need to do it in the first place. After my net research, it is apparent that Sprint was well aware of the problem. My question is why didn't they send a text message to all Instinct customers informing them of the problem and setting up a web page to help people resolve the issue. With a new flagship phone, they should be focused on the customer. The Instinct has been a great device for me, but when you are a communications company, you really should communicate with your customers. At this point in time I'm not sure what the issue is, but my Instinct has now been without an e-mail connection for over 12 hours. I've gotten the error "unable to loo up the network address. (S7805)" ever since last night. I went so far as to even reset my e-mail which, of course, wiped out both of my accounts, but alas no joy. I'm hoping that someone can either fix the problem on the network or at least advise me on what's going on. I'm personally not sure at this point, but when a communication device goes down it's a major inconvenience. A little "googling" of the error message shows widespread problems starting last night. Sprint? Where are you? ePocrates now Available for download to the iPhone! 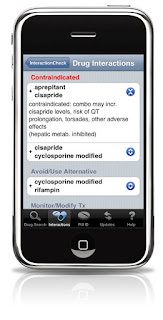 I just got word in the last day or so that ePocrates software is now available for download on the iPhone. That's right, it will now run directly on the device. With all the media frenzy surrounding the latest offering from Apple, I figured that many of you would love to know about this. It is currently available for download. Click here for the link. Apple has even featured ePocrates in the App store for the Health & Fitness category. While iPhone users have been able to access the program on the web, this new update allows the device to actually run the software on the iPhone itself, so it's available anywhere you need it. Dang! Just as I was thinking I was "it" for buying a 1 terabyte drive a while back, I now have hard drive envy again. Seagate has announced that in August they will begin selling a 1.5 terabyte drive (that's 1500 gigabytes for those that don't know). Disk space just keeps expanding at an almost unbelievable rate. No word on price yet, but the good news is that usually a new large drive like this will drop the price of smaller drives (read - cheaper 1 Tb drives!). This drive is designed for desktop computers, but read on for information on the expanding hard drives for laptops. Seagate will also be bringing a 500Gb hard drive to the market in a form factor that will fit in laptops. That makes the 120Gb drive in my MacBook Pro look tiny in comparison. Amazing! The drives are offered with a free-fall sensor technology that helps prevent damage when dropped. According to Seagate, the sensor detects any changes in acceleration equal to the force of gravity and parks the heads off the disk to prevent contact with the platter in a free fall of as little as 8 inches and within 3/10ths of a second. I'm home from the great Northwest. I spent last Wednesday through Saturday in Seattle and had a great time. Seattle is a beautiful city with friendly people and the weather was beautiful with sunny skies the entire time I was there. I did three lectures as part of the meeting and I was thrilled to meet Canine from Twitter who came to the Friday afternoon session and actually twittered the lecture. That is the ultimate in Geek Cool. Thanks to everyone who was kind enough to attend my presentations and thanks to all the good folks who worked so hard to make the meeting happen. I'm grateful to all of you! Wow! If you need extra USB ports for one of your machines, this should sure solve the problem. Although the footprint is big, it will still take up less space than multiple hubs with 4 or 8 ports. Part of the size is dictated by an internal 22.5W power supply. What this means to you is pretty much whatever you plug into it will have plenty of juice to run, charge, you name it. We're all so dependent on USB devices anymore that something like this is a nice thing to see. I personally have an 8 port on my desk at home that connects to my MacBook Pro and I've about maxed it out. The idea of adding another one and the resultant clutter isn't as appealing as putting one of these on the desk. The price is said to be $139, but I've been unable to verify that as the company website has been down. Hopefully it will be back up soon so click here to read more. Since it's the weekend, let's have a little fun. A lot of us geeky types have the seen the viral videos making the rounds of the people using their cell phone energy to make popcorn. There are several of these videos and most of them show four friends put their cell phones on a table in an "X". In the middle are a few kernels of popcorn. The friend all call each others phones and in a few seconds the kernels pop! It turns out that this is a hoax. The idea ia a marketing piece from a company that makes headsets. CNN has an interview with a company representative that can be seen here. Apple's MobileMe service is primed to be relaunched this week, ahead of the Friday launch of the iPhone 3G. That means subscribers to .Mac will find the service taken offline for a six-hour stretch as Apple makes the transition, according to a post in MacRumors.com. The www.mac.com site will go down on Wednesday from 6 p.m. to 12 a.m. PDT, leaving .Mac subscribers unable to access the site or use .Mac services, except for .MacMail via their desktop applications, iPhone or iPod Touch. In fact, existing .Mac users may have already noticed the ability to receive and send e-mail at an @me.com address if they so request. Other mac.com subscribers will be grandfathered in, allowing them to continue receiving e-mail at their mac.com address, while also receiving a new me.com address. The revamped .Mac service will offer Web-based e-mail, calendar, address book, photo gallery, and storage capabilities as well as "Push" sync services. A one-year subscription to MobileMe will cost $99, which is similar to the .Mac price, but purchasers of an iPhone 3G will be able to score a subscription for $69 on Friday, the report notes. VIOlight is the first toothbrush sanitization system made to look like it belongs in your home, not a laboratory. Designed by the world-renown Philippe Starck, VIOlight promises to fit in with any bathroom décor. Small and sleek, VIOlight is the size of an average cup or toothbrush holder. And, since it doubles as a sanitizer and holder, it won’t take up any extra space in your bathroom. With enough room to hold four toothbrushes of all sizes — including kids’ and electric heads — VIOlight is versatile enough to meet all your family needs. Independent tests prove that VIOlight gets rid of up to 99.9% of bacteria living on your toothbrush. Unlike other sanitization devices, which use hot steam, it’s virtually impossible to burn yourself using the VIOlight. That’s because VIOlight doesn’t rely on heat or boiling water to get the job done. It uses germicidal UV light bulb power, proven effective to kill germs and bacteria. You simply brush, rinse, place your toothbrush in the cup-sized holder and, with the push of a button, the sanitizer starts to kill those unwanted germs. The VIOlight germicidal UV bulb is rated to last over 2000 hours, and only needs replacing every one to two years, depending on use. It comes with a skid-proof bottom and a removable drip tray for easy cleaning. I'm excited to start my evaluation of the Ray from High Q Dental. It'a a 3W LED that can be worn on either a headband or mounted to glasses. My staff has become fans of their 1W system (called the Starbright) which we have had for about 2 months now. I'll be working with it and reporting back here on my experience. Laser fluorescence of caries is one of the best ways to look for decay. The Kavo Diagnodent has been using this principle for several years now. Here is some info on a device that has recently been announced in Canada called The Canary. Quantum Dental Technologies introduced its Dental Caries Detection System prototype, known as The Canary System, at the International Association for Dental Research (IADR) Conference in Toronto, Canada. "Dentists are limited in their abilities to detect and monitor the early stages of tooth decay with traditional diagnostic tools such as the X-ray and visual examination," said Dr. Stephen Abrams, Chief Executive Officer of the Toronto-based Quantum Dental Technologies and dental clinician. "Now, with this innovative new system that is pain free, non-invasive and provides early caries detection, we can finally move away from intervention, or the filling of cavities, to focus on prevention and actual remineralization or healing of small areas of tooth decay." The Canary System uses a handheld laser that emits a low-power light to examine tooth surfaces. When laser light is shone onto the tooth, the system measures the level of glow (luminescence) and heat released from the tooth. Laser light interacts differently with healthy teeth than with decayed teeth. By varying the pulse of the laser beam, a depth profile of the tooth can be created to permit detection of decay as deep as 5mm from the tooth surface and as small as 50 microns in size (20 times smaller than a millimeter). With The Canary System, the dentist is able to identify areas of decay much earlier than with current methods. The Canary System will be in clinical trials for the next 18-24 months with collaborators in both research and clinical settings, and will be ready for market release in 2010. The last time I checked, the company website was offline, but when it is available the link is here. ORANGE, CA – March 1, 2008 – Premise™ universal trimodal composite from Kerr, considered by many top clinicians around the country to be one of the leaders in beauty and strength, has developed an optimized formula that is capturing the dental industry’s attention. And a convenient new Mini Kit configuration that cross-sells a flowable and two bonding agents is primed to attract new users. Kerr Corporation approaches technological development and has established their legacy by listening to the needs of the customer. Premise’s new optimized formulation—showcasing a higher-end product—offers advancements that surpass competitive brands. A patented, proprietary trimodal technology is the unique chemistry behind this material. “Premise’s strength has always been in its novel filler technology, which uses three different fillers—prepolymerized filler (PPF), patented Point 4 filler, and 0.02 micron filler—working together for the ultimate in polishability, durability, and strength, and has proven to be the fastest growing composite among today’s leading dentists,” said Meghan Moore-Rizzo, Director of Product Management. “Now, the Premise you love is even better, without sacrificing any of the amazing properties that made it a universal composite that all clinicians have come to trust.” Premise has always been more than just nano technology. It is an ideal combination of fillers for the ultimate in performance. Visit kerrdental.com to learn more about Premise trimodal composite as well as the broad portfolio of Kerr products, or call 800.KERR.123. For as long as I've had my office computerized on the Windows platform, I've used Eaglesoft. I've been through thick and thin with the company even before they were a Patterson subsidiary. Now the software that runs my practice can run yours too... with one substantial difference. You can get your copy of Eaglesoft for free. That's right, Patterson is now literally giving the software away. Now, what this means to the dentist is that you will not pay for the front office portion of the program. Support fees will still apply and you will have to pay for the clinical portion of the software that allows for digital charting, radiography, etc. You may be asking yourself, "Why now? What's the catch?" Here's what my sources at the company have told me. Patterson wants everyone digital in all phases of their practice. To do this, offices will need a good software package. I refer to management software as "the practice operating system" and Patterson has taken that to a heart. If every practice is digital, more digital equipment will be sold. Patterson hopes that by giving the software away, they will eventually sell more digital products. 95% of all offices have some type of software already, but only 30% are using one of the 4 largest companies. This means there is a large market for Eaglesoft. The company feels that they can still make money on support fees, electronic services, and digital hardware. All that the company is asking is 1 month of support fees up front and a 1 year support commitment to get started. This has caused a bit of a shakeup in the dental software industry and it will be interesting to see how it all shakes out. With the proliferation of always on broadband, many practices in the US are now truly always connected. This has the potential to allow doctors to place a great deal of their IT problems (servers, backups, etc) in the hands of true IT professionals who run the entire thing from a remote location. As food for thought in this regard, the folks at Software Advice have put together an online tutorial about this. You can access the tutorial here. Viacom forces Google to turn over logs of YouTube & *Your* Privacy is at Stake! It's ironic that I post this story on Independence Day here in the U.S. If you have a YouTube user name and password and have ever watched a video, Viacom is going to know about it. Your privacy has been abandoned in a copyright infringement lawsuit between two financial behemoths and who knows where it will end? On Tuesday a federal judge ruled that Viacom can have access to what users have watched. Google has fought this for quite some time, but at this point in the battle, Viacom has won... at least for now. The full article can be read on Fox. Well, when you live in the world of reporting, sometimes you go public with a rumor and... you miss. That was my experience this week with the Sprint Instinct update. My bad, but I still feel there is one coming in the near future. The moment I get mine to update, there will be a post here about it. In other Instinct news, the device seems to be a very successful product from Sprint. My sources tell me that in the first 4 days of launch 60,000 units were sold. Here in KC there are billboards everywhere touting the device. Also, wherever I go, if I use the phone people want to know what it is. I find that interesting as I've never had that happen before. Of course, I've never owned an iPhone either so maybe it's just the monolithic appearance of the device. Anyway, after about 2 weeks with the device, I'm still loving it. However, Sprint needs to get the calendar sync fixed. I'm currently using Google calendar and the web to keep track of my life, but it would be mucho easier if it was on the device itself. Since I'm a Mac user there is currently no way to do that. High Q makes good products at reasonable prices. We've been testing their Starbright 1W white LED for a couple of months now. I've had it being used by my assistant and hygienist as well as using it a bit myself. Our overall experience has been a tremendous "thumbs up". The Starbright comes in 2 variations, one fits onto your existing "loupes" (which are actually surgical telescopes) while the other has a clip that will allow it to attach to regular safety glasses. You can order it in several different variations, the system comes in either product specific clips for loupes; the standard clip for TTL or Safety Glasses; or on a headband. The light source is easy to position, light, bright, and easy to use. It is powered by 3 AAA batteries. We chose to use rechargables. These have been extremely handy for my assistant because when we built my new facility I did not purchase track lights for the rooms that I work in. I use a headlight for everything so a dental tracklight was just an added expense. The Starbright has been a nice adjunct to our office. You can get more info from the High Q website. The company is now selling a 3W version called "Ray". I'm anxiously awaiting the chance to get my hands on one! For those of you looking for a voice recognition system that will simplify the entering of perio data, take a look at PerioPal. The software is specificallly designed for the dental environment and interfaces with your practice management software. Beaumont, Texas – June 20, 2008 – PerioPal LLC today announced a landmark move to create a software platform for the next-generation of internet and periodontal charting software users. Having seen a tremendous momentum with its ‘Pay-Per-Use’ licensing policy, PerioPal has now developed a free download version to acquaint clinicians across the world with its powerful voice driven periodontal charting software. The user-focused download version allows clinicians to get acquainted with the benefits of PerioPal’s voice driven periodontal charting software. Complete with 25 exams, comprehensive training materials, and a link to PerioPal-compatible headsets, users have everything they need to test and evaluate PerioPal’s voice driven periodontal charting software. The Download copy of PerioPal’s software is 100% functional including the latest version of PerioPal. Users can download, install, register, train, record and report up to 25 periodontal exams. To use the software beyond the trial exam period, users simply order more exams and have the system integrated into the dental system. efficiently navigate the screen as the exam occurs reducing the enrollment time of periodontal data by 25 %. After an evaluation with the download exams, additional blocks of exams may be purchased on the internet through a simple transaction activating the additional exams on the database. The price per exam is based upon the number of exams purchased. Purchasing in bulk will save as the cost per exam decreases at higher quantities. Ongoing software upgrades are automatically included. PerioPal comes Bridge and Network Ready. The download version of PerioPal is available at www.periopal.com/pages/download.htm. In 2006, PerioPal LLC responded to the needs of the dental practice by launching an innovative ‘Pay-Per- Use’ licensing policy for periodontal exams enabling the PerioPal system to be installed on as many workstations as desired. All workstations sharing a database are able to access a common “pool” of activated exams. When an exam is initiated, the system utilizes one activated exam. Any PerioPal workstation having access to the database can recall a previously recorded exam regardless of which workstation initially performed the exam. PerioPal is a verbal software tool, allowing hands-free periodontal charting. With PerioPal, the user can verbally record, chart, store and report a periodontal exam as it occurs, dramatically resolving the clinical challenges of traditional periodontal charting as well as increasing office productivity. PerioPal records periodontal exams with either the Universal Numbering System or the FDI World Dental Federation System.